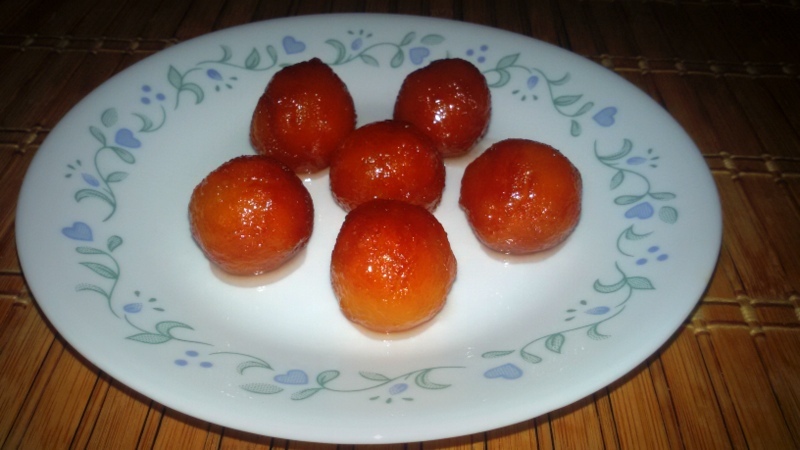 Bread Gulab Jamun is quick and easy way to replicate Gulab Jamun in a jiffy. It is one of best leftover bread recipe. 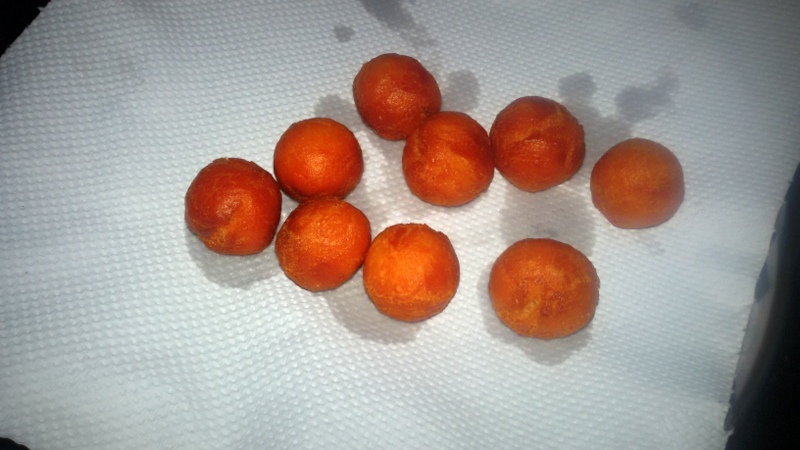 I had these bread gulab jamuns at a friends wedding and totally loved them. You can use up any leftover bread/pav slices to make this yummy jamuns.They hardly take anytime to make but the result is pretty impressive.. Though I love gulab jaamun, im not fan of the sheera/sugar syrup, so I always make little syrup and wait till the jamuns soak all the syrup and eat the dried jamuns. So for these bread jamuns also I made little syrup. So adjust sugar syrups quantity as per your taste. You can store them for a day or 2 in refrigerator, so you can make them a day before for a party and serve cold or warm to your guests. Lets begin, here is the recipe. Make it and serve for your family and friends and I am sure they are gonna love it. In a bowl shred bread slices with your hand into small pieces and crush them nicely. Add maida and little milk at a time and make a nice dough. Cover and let it rest for few minutes. Meanwhile make sugar syrup with sugar, cardamom powder and water in a sauce pan and bring it to boil. Boil it for 8 to 10 mins untill it reaches sticky stage. 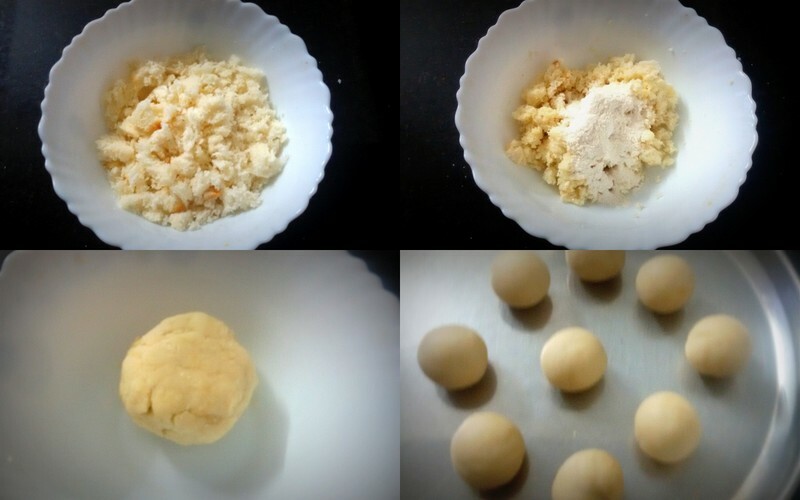 Divide the dough into equal parts, grease your palm with some ghee and roll smooth balls from the bread dough without applying much pressure. The gulab jamuns will turn hard, if you apply too much pressure. So be gentle. 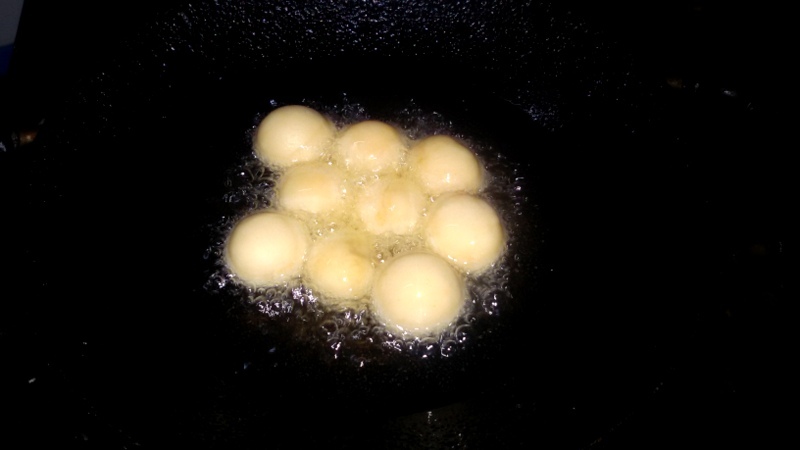 Heat oil in a kadai and fry the gulab jamuns on low flame until they turn brown. Keep stirring for even browning. 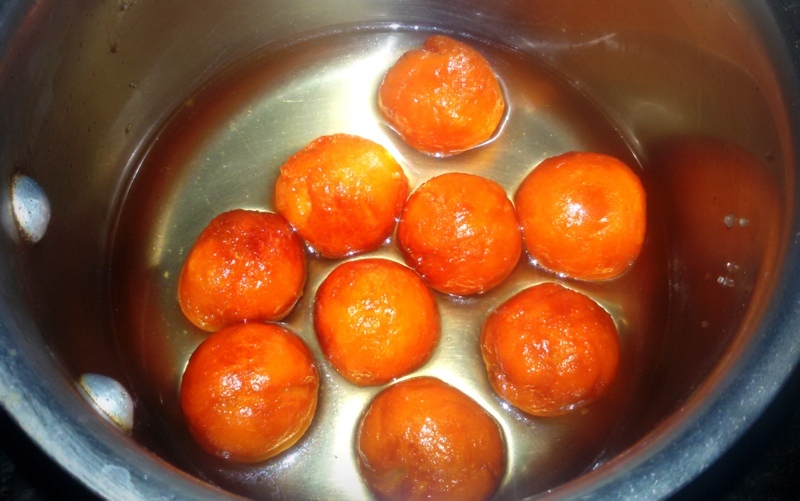 Drop the fried gulab jamuns into the warm sugar syrup and let them rest for an hour or 2. They may not be as soft as actual gulab jamuns but they taste amazing!! You can serve them cold or warm with big scoop of vanilla ice cream and yenjaaaai!!! 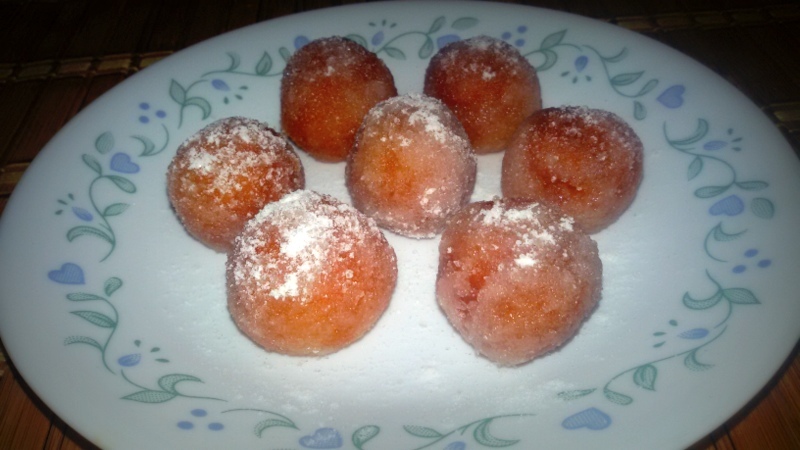 Or if you are feeling fancy, take powdered sugar or sugar on a plate and roll jamuns soaked in sugar syrup evenly and voila dry bread gulab jamun are ready! !